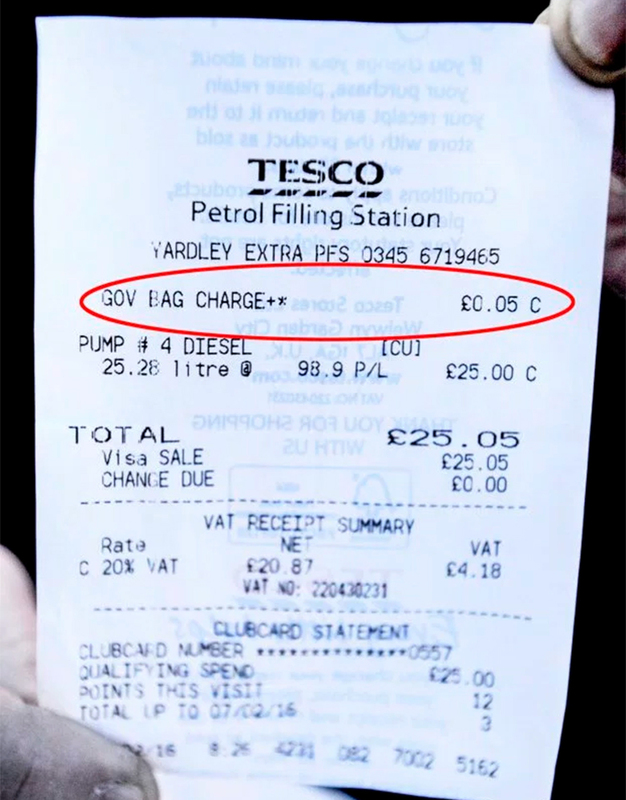 A man was charged 5p for a bag by Tescos when he only bought petrol. Without hesitation, the man alerted the press. 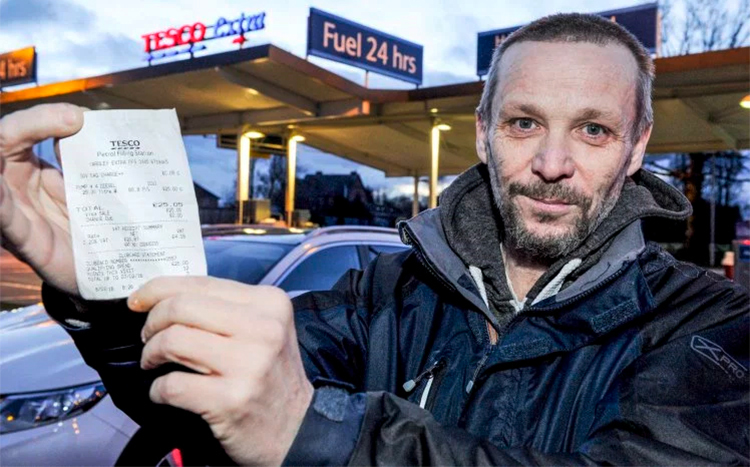 John Green, from Birmingham, was charged 5p for a bag in a Tesco Express store even though he only bought 25 litres of diesel - something which traditionally isn't bagged. This didn't pass John Green by, who spotted the mistake and alerted the press to the travesty. "How on earth would I have shifted 25 litres of fuel in a carrier bag?" John Green asked The Metro. He then went on to lampoon Tesco's bags. "To be honest, I don’t think the regular 5p carrier bags you get from supermarkets could handle one litre even – they are quite pathetic." Proof of the 5p bag charge. John Green now carries this around by his chest. Every day he takes it out, looks at it and says: "Never again. Never again." "People get a sandwich or a paper - not a bag"
"I always go for the slightly more expensive ones so they don’t break." he said. "What really made it seem odd to me is that I don’t think petrol stations give out bags very often so I don’t understand why he would be in the habit of hitting that button." "Most people just pay for fuel and leave. They may get a sandwich or a paper, but rarely in a bag." Tesco spokesperson said: "We’ve spoken to the customer and have apologised for this error." Next time he wants to bag up his petrol, they advise he makes it very clear to the cashier that he has brought his own bag for life. Like this? Check out the student who has threatened Nestlé with legal action after finding a Kit Kat with no wafer inside.